We have seen how Bhagavan at the urging of His mother constructed a school and a hospital in Puttaparthi for the benefit of the villagers. These were the seeds that grew into larger educational and medical projects and were available for free to mankind at large. Mother Easwaramma had a third wish: Puttaparthi needed a water source during the dry season. 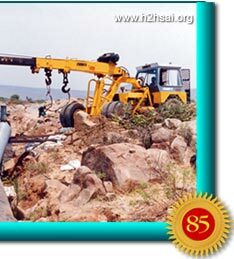 To satisfy this need, Bhagavan had a borewell drilled on the campus of Prashanti Nilayam. In the next two issues of H2H, we will see how the initiative served as the seed to satisfy the needs of millions for drinking water. Eighty percent of the human body is nothing but water. 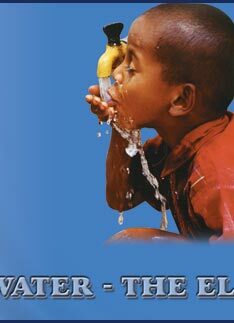 A human being can survive without food for several days, but without water his life expectancy is measured in hours. Water is one of the greatest gifts of God, given by Him out of His infinite mercy for mankind and for all beings. God not only created water but also set up an elaborate system to bring this gift to us throughout the year from the sea to inland areas. 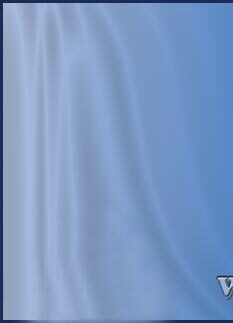 He has made lakes for storing water, rivers for transporting it, and huge underground aquifers for additional storage. Man fails to appreciate the physical nuances of the water cycle. He often misses to see the creative force behind it. Instead, those who wield power, divert water for their own use. They are driven by greed and selfishness. Others mismanage the water that is given to them. For these reasons, many regions of the earth are parched and dry, although they do not necessarily have to be so. The western part of peninsular India receives heavy rains during the monsoon season but vast tracts of land in the rain shadow region to the east regularly suffer from water shortages and droughts. 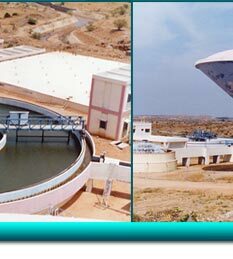 Foremost among the drought-prone districts of South India are Bellary, Anantapur, Cuddapah, and Kurnool in the state of Andhra Pradesh. This region is collectively known as Rayalaseema. 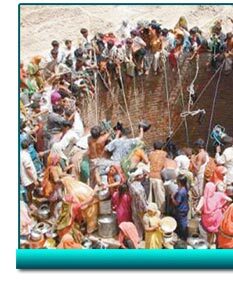 Here people depend on well water. But the fluoride in the water causes serious disabilities, such as bone deformation. 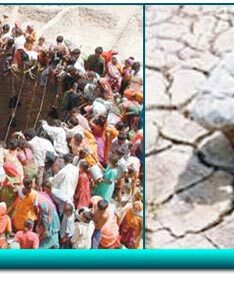 For over a hundred years, the people of Rayalaseema have been clamouring for drinking water but their pleas fell on deaf ears. Even in independent India, this remained the situation for nearly half a century, until Baba stepped in. 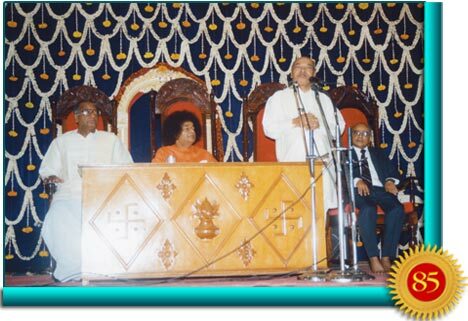 On the morning of 22 November 1994, there was a special function in the Poornachandra Auditorium to honour the distinguished surgeon Dr. Venugopal. The doctor had performed the first cardiac surgery on the day of the inauguration of the Super Specialty Hospital in Puttaparthi, and had helped the hospital in numerous ways. 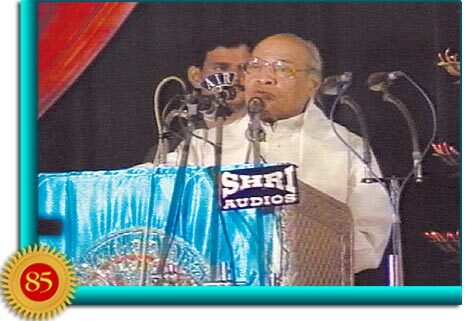 Present in the Poornachandra Hall was Mr. P. V. Narasimha Rao, the then Prime Minister of India, who had inaugurated the Super Specialty Hospital three years earlier. In His discourse on that day, Bhagavan made reference to the perennial drinking water problem in Rayalaseema. He said: “The Prime Minister should be reminded of one factor. For 45 years, there has been a water problem in this country. Rivers are God’s gift. They don’t belong to anyone. The waters in the Krishna River and in the Godavari are permitted to flow to the sea while in Rayalaseema people don’t have drinking water. Instead of losing this water, it should be diverted along its way and no harm will result by it. There’s plenty of water in the Krishna River. The Krishna and the Tungabhadra rivers can be harnessed to supply Rayalaseema. If this water is supplied, then crops may be sown. This was a direct challenge to the Indian government to do something about the problem, offering all possible help from His side, if the government chose to embark on such a project. After a few months, no action could be perceived from the Union Administration. Baba then quietly told the Sri Sathya Sai Central Trust: “Let us do the project,” and proceeded to set what seemed an impossible timetable. The reaction of the Trust Members was a typical one, the way humans look at issues and problems. With Baba, it is quite different. Determination comes first, problem solving later. Once it was realised that Baba was absolutely resolute to go ahead no matter what others said, plans immediately began to be drawn up. And, wonder of wonders, things started rolling and at incredible speed! About nine months later, during the Guru Poornima festival in July 1995, a function was held to mark the first step in the supply of drinking water to the people of Rayalaseema, specifically to the neighbouring village of Bukkapatnam. After the usual speeches by the concerned officials, Baba pressed a button. 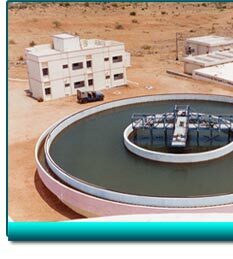 By remote control, the pump in Bukkapatnam started working and drinking water began to flow out of a tap there. A microphone placed near the spot picked up the loud cheers of the villagers present, and soon village elders spoke words of thanks into the microphone. All this was heard by the thousands assembled in the Divine Presence in Prashanti Nilayam. Thereafter, the tempo quickened and things took shape with amazing rapidity. Baba assumed direct charge and monitored the progress literally on a day-to-day basis. The going was not always smooth. Many devotees wondered why this was so. Was not God in charge? Yes, He was. And, if He so willed, things could have happened with a mere wave of His hand. But this was not the way He wanted things done. The project was actioned the way it was merely to teach some significant lessons - that man must do his best to help others, and without being too much concerned about the obstacles coming his way must march resolutely towards the goal. People were also taught that the impossible becomes possible if one has firm determination. For a brief period, there was a money crunch. He who could create gold and cash with a wave of the hand now borrowed money from a bank! There were a host of other problems too. But Bhagavan was always calm and His usual self – ever a perfect demonstration of equanimity. It was not so much His management of the difficulties as it was the magic of His prema (love). The Government of a State where Marxists were in power did not hesitate to waive taxes on pipes and other products procured from their State. The Railways gave priority in moving various items, especially steel and cement, to the work sites. Baba made several aerial surveys over the entire district. So considerate was He that He squeezed these surveys between the morning and evening darshans, and the devotees in Prasanthi Nilayam never knew that Baba was out flying over the countryside while they were having their siesta. In more ways than one, Baba showed how projects must be executed, with constant direct personal supervision from the top, and incessant attention to the most minute detail. It was November 1995. Once again, there was a meeting in the Poornachandra Auditorium. And yet again, Mr. P. V. Narasimha Rao was present. 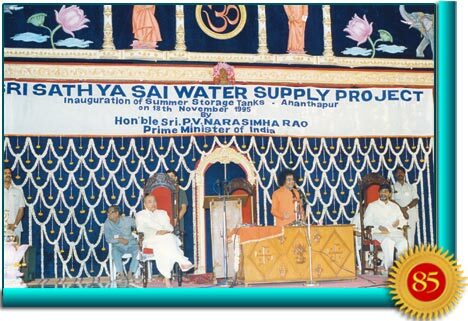 He was there to inaugurate the Sri Sathya Sai Drinking Water Project. 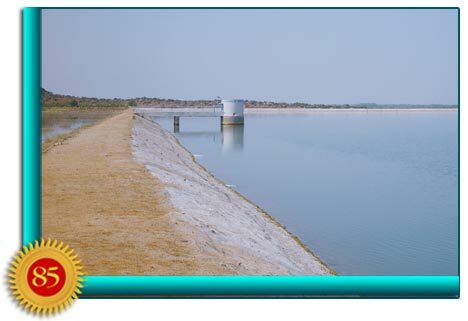 Mr. K. Chakravarthy, who represented the Sri Sathya Sai Central Trust, in the execution of the drinking-water project, said: “I have the honour to present a brief report of the Sri Sathya Sai Water Supply Project. We started the project in the second week of March. 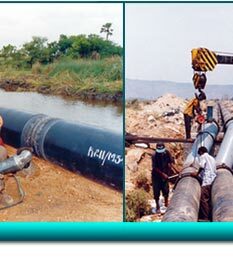 Three infiltration wells in one sector and two in another were completed before the end of May 1995. 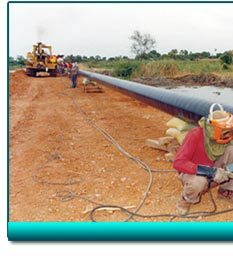 Since the network of pipes were as long as 2,500 km we had to use heavy earth-moving equipment for the digging of trenches and the laying of pipes and this was done in the short period of two months, May and June ’95. This was found to be a formidable job. The project involved the construction of 275 overhead reservoirs, 175 ground level reservoirs and over 1,000 pre-cast cisterns many of which are nearing completion. The balance will be completed by mid-January 1996. “A project of this dimension and scope executed within a brief period of time called for commitment and dedication. It was possible to find this in the prime agency for this project, namely the team from the L & T Construction Co., who put in long hours and endured many hardships executing various schemes under sun and rain. 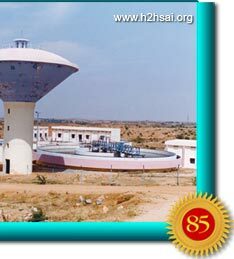 The Sri Sathya Sai Drinking Water Project is the largest social service project to be executed anywhere in the world, by a charitable organisation. Next, it was the Prime Minister’s turn. Mr. P. V. Narasimha Rao had once been the Minister in the State Government of Andhra Pradesh in charge of Anantapur District. 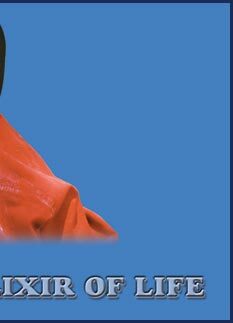 He knew well, not only the various problems faced by the people of the district, but how difficult it was to solve them. This was followed by Baba Himself who said: “With regards to the water project, it should be noted that much was accomplished in a short period. In the execution of the project changes had to be made in response to the appeals of people in different villages. Because of this, the entire project has not yet been completed. Some villages are yet to get water. This should not cause any disappointment. Whatever may happen, all villages will get water and the project will be fully carried out. “The inauguration of the project by the Prime Minister does not mean that further work has come to an end. We are prepared for any sacrifice to honour our pledge. Work will be resumed from tomorrow and we shall see that by January the entire district is supplied with water. We will give no room for anyone to complain that he has not got water. Because of the unexpected mid-course correction, some villages had not yet received the water they were promised. 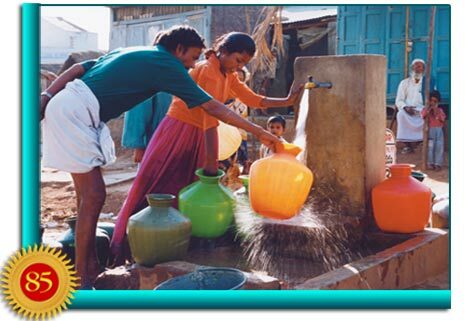 A few months earlier, on Guru Poornima Day, just the neighbouring village of Bukkapatnam had received water. Now, the whole district was blessed with water supply. Baba addressed the subject of giving on the morning of His birthday in 1995 and said: “You must have listened to the list of offerings of gold ornaments by some devotees. What is the ornament for Bhagavan? Only bliss. Why cover Him with a shower of jewellery? A sculptor carves a beautiful idol. Why submerge that beauty under clothes, jewels and garlands? All these are artificial. Natural beauty alone gives real joy. Don't take the trouble to bring such ornaments. You should not entertain such thoughts at all. “I have asked the Central Trust to put up for auction on this stage all the ornaments given by devotees. The money raised thereby should be used by the Trust. These jewels should not be taken to Prasanthi Nilayam. In addition to jewels, offerings of money have also been made. All these funds will be used for the completion of the drinking water project. “I have not sought anything from anybody. But I will be happy with any kind of service you render. Spend your money to help the needy. Assist in the provision of water. Meet the educational needs of the people and provide medical relief. Do everything for the good of society and not for the sake of an individual. Have the nation's welfare in your mind. “The water problem of Rayalaseema will have to be completely solved. This is a dry area. There is not enough water to drink. How can trees be grown in such an area? Without trees, people do not have a sufficient supply of oxygen. Water, therefore, is essential for life. Two years later, on 11 October 1997 - Vijayadasami Day, Bhagavan who had executed this project entirely on His own handed over the complete project and its assets to the state government of Andhra Pradesh. The project was undertaken for the people and now Baba wanted the government to own it as well as maintain it. 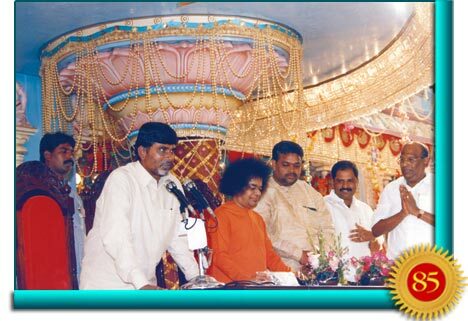 On this occasion, present in Prashanti Nilayam was the Chief Minister of Andhra Pradesh and a few other senior politicians who had come to participate in the handing-over ceremony. First to speak was Mr. K. Chakravarty of the Sri Sathya Sai Central Trust. 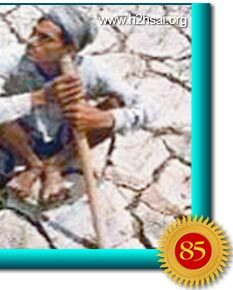 He said: “In His divine discourse on 22 November 1994, Bhagavan Baba drew the attention of the Prime Minister and the Chief Minister of the State to the severe drinking water problem faced in many parts of the country. Bhagavan added that if needed, he was ready to offer financial assistance, should a project be launched in this direction. 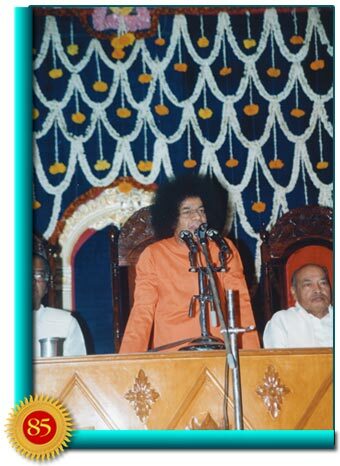 By actually executing the project all by Himself, Swami proved to the world that the word of God is indeed the truth. “It is well known that the Avatar has all the powers with Him. However, in executing this project, His objective was to set an example to the people of the world about how difficulties facing mankind ought to be faced and solved. Following is the speech by Ramakrishna of Larsen & Toubro (L & T), the construction firm that handled the project: “Bhagavan has shown His love to us in L & T by providing us with many opportunities to execute, in record time, projects like the super specialty hospital, the community flats, the canteen, the airport, the Kalyana Mandapam in Hyderabad, and the beautiful Sai Kulwant Hall. “L & T is engaged in many projects all over the country and in many places abroad. But nowhere have we been able to execute projects with the speed we have been able to achieve here. The only reason for this is Swami’s blessing and grace. In his statement, the Chief Minister of Andhra Pradesh, said: “The people of Anantapur District have been facing severe difficulties with regard to drinking water. Swami has solved this problem in record time, what others elsewhere could not have accomplished in the same duration. Is this then the conclusion of the enormous water project initiated by Bhagavan Baba, a project that brought drinking water to the entire district of Anantapur with its hundreds of villages scattered over several hundred square kilometers, with population of over a million? Is the task now finished? Has Mother Easwaramma’s third wish been fulfilled? The answer is, No. The story continues and expands to include more territory and a larger population.